Big, easy-to-use console informs permanently about training distance, training time, stroke rate, total distance, calorie consumption, Watt, etc. Thanks to its combination made of American ashwood and a stable steel frame, the First Degree Fitness rowing machine Apollo Pro II is a real eyecatcher. 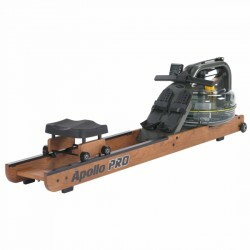 The Apollo Pro II is not just a nice piece of equipment, but also mainly convinces by the rowing experience. The patented two-tank-resistance system makes it possible to change the basic resistance of the rowing machine without having to change the amount of water. The three blades in the tank make the strokes very smooth. The First Degree Fitness rowing machine Apollo Pro II is suitable for each fitness level and offers a joint-gentle whole body training. The First Degree Fitness rowing machine Apollo Pro II is equipped with an extraordinary stability and is hence even approved for the use at fitness gyms. The combination of materials of the frame reduces the torsion of the machine to a minimum even during an intensive use. One of the main sources of wear of rowing machines might be a surprise: it's dust and little particles of dirt on the rail. Here, a smart solution is found for the First Degree Fitness rowing machine Apollo Pro II: little brushes on the wheels. While exercising, the rowing machine cleans virtually itself. It saves dusting before every use. 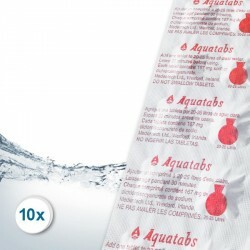 The LCD monitor displays all important data like time, distance, strokes per minute, calories per hour, etc. in an overview during the training. Hence you can completely focus on your training. 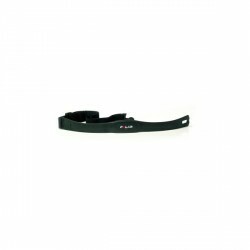 The heart rate measuring is optionally possible with a chest strap as well as with a receiver (both is available as accessory). 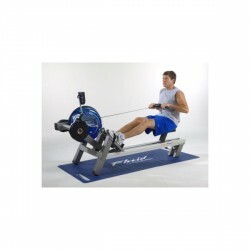 Via a USB interface, you can connect the First Degree Fitness rowing machine Apollo Pro II with your pc to read training data and to use further applications. 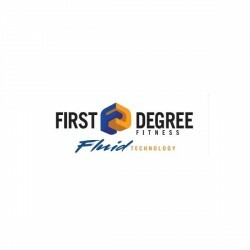 First Degree Fitness Fluid Floor Mat In stock! Heart rate receiver for Fluid Rower In stock!